A local club dedicated to the preservation and restoration of the automobiles built by Buick Motor Division of GM Corp. in Detroit, Michigan, USA. Monthly Membership Meetings are held the 2nd Thursday of every month at Marjorie Post Park in Massapequa at 8 PM. The great American road belongs to Buick. We are a local chapter of the Buick Club of America, dedicated to providing technical information and resources for maintaining, restoring, enjoying and improving the appearance and performance of Buicks. We also provide opportunities throughout the year for members to have fun and take their Buicks out for a spin visiting local sites, attractions and car shows. If you are interested in becoming a member of the Long Island Buick Club, please complete the member application form. 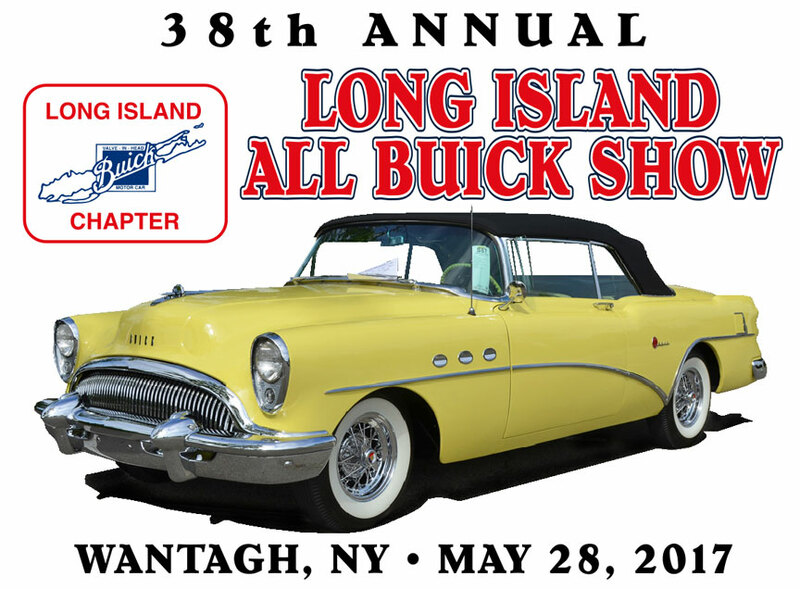 The Long Island Buick Club Proudly Presents the 2019 Annual All Buick Show! Check out the pictures from the 2018 All Buick Show in Wantagh. Check out some pictures from the 2017 All Buick Show in Wantagh. Please take a moment to check out the video of some of the Beautiful Buicks! Don't miss our next Monthly Meeting on Thursday May 9, 2019 at 8:00 PM, Marjorie Post Park in Massapequa Park. Come down to hear about some upcoming spring events and shows. We will also be talking about details of our 40th Annual Car Show. See you there!